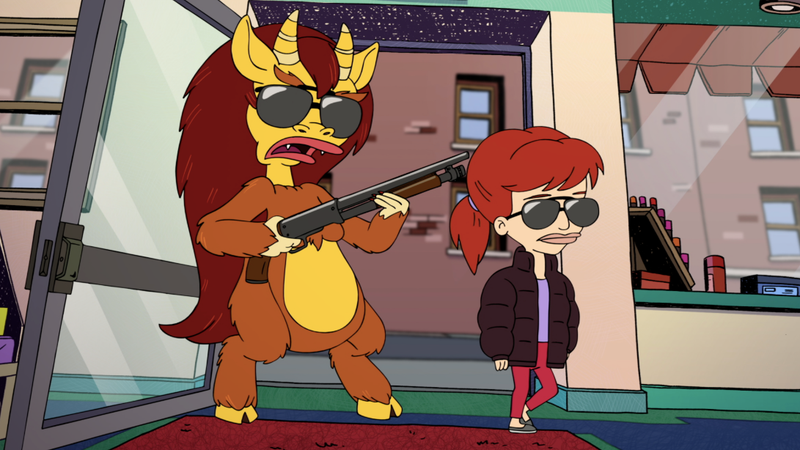 Good news, my precious little raviolis: Big Mouth, Netflix’s marvelous ode to the horrors of puberty, has been renewed for a third season. Created by Nick Kroll and Andrew Goldberg, the series features the voices of Kroll, John Mulaney, Jessi Klein, Jenny Slate, Fred Armisen, Maya Rudolph and others, following a pack of confused and horny adolescents as they chart the damp, gross waters of junior high and the attendant changes that come with that acutely terrible phase of life. Luckily, there are few subjects as ripe for a multi-season run as puberty, so it seems reasonable that season three will continue to...blossom...apace. But truthfully, I could watch Maya Rudolph’s Hormone Monstress say nothing but “bubble baths” over and over again for at least 10 episodes straight and still give the show two furry dicks up.